The India Migration app gives a state-wise overview of migratory trends with information such as what percentage of the population migrated and where they migrated to and more. 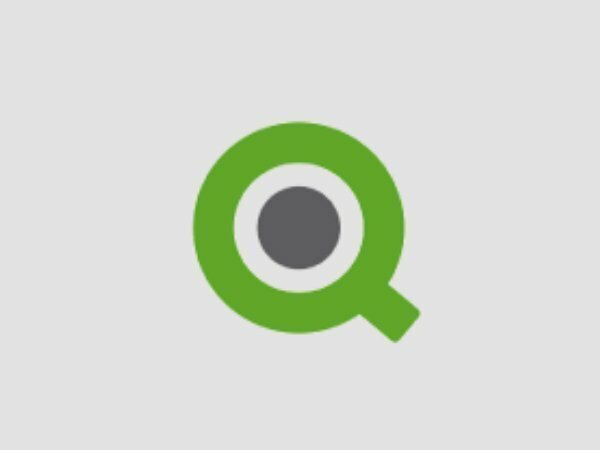 Qlik, a leader in data analytics, has announced the launch of its India Migration web app. The platform uses the latest official data from Census India to track and visualize migration trends across urban and rural regions as well as state borders. Leveraging Qlik's proprietary associative technology, the app translates publicly available data into an engaging and interactive visual format. The app will equip administrators, government bodies, and private businesses with the insights they need to design strategies, implement policies, and deploy services conducive to continued economic and infrastructural growth. The India Migration app gives a state-wise overview of migratory trends with information such as what percentage of the population migrated and where they migrated to, as well as inbound migration data from different states. For example, 22 percent of those that left Uttar Pradesh moved to Maharashtra, while neighboring states of Delhi and Uttarakhand attracted 14.5 percent and 10.3 percent respectively. Uttar Pradesh also witnessed a huge influx of migrants from Bihar (909.5k), Madhya Pradesh (555.8k), and Delhi (404.2k). To provide more detailed and incisive insights, the app breaks down the number of migrants based on their gender, as well as the geography that they belonged to before migration. Julian Quinn, Regional Vice President, APAC, Qlik said, "Robust migration between different regions is one of the primary drivers of a vibrant and dynamic economy. Qlik's presentation of migratory trends is expected to increase the understanding of various factors which influence people into relocating. 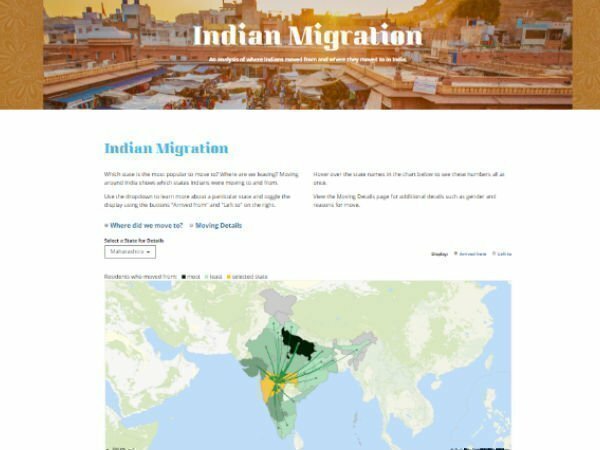 Our India Migration web app translates available official data into a clutter-free, visually-interactive format which can be easily understood by the public and private entities. The power of analytics can then be used to improve various aspects that affect a region's populace and can also help in predicting future migration trends to sustain and augment growth across all regions." The app also showcased the most common factors that led Indians to relocate to another state. While marriage was the top reason for moving within India, other factors like work/employment (684.78 million) and education (120.14 million) were also found to significantly influence migratory trends. Socioeconomic developments played a major role in driving immigration across states. For example, Maharashtra witnessed an influx of immigrants from states like Uttar Pradesh (1.41 million), Gujarat (643.19k), Karnataka (612.56k), as well as Rajasthan and Madhya Pradesh. 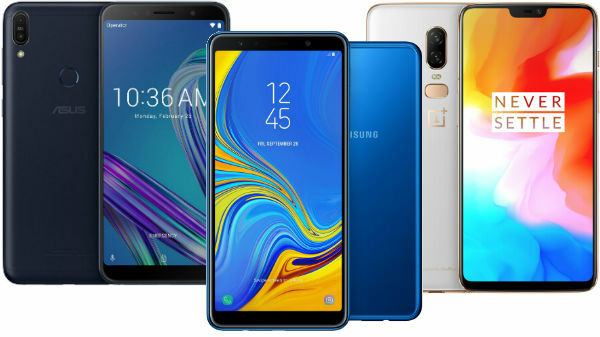 This heavy migration was largely expected to be driven by the launch of key infrastructural projects like Mumbai Coastal Road, Mumbai Trans Harbour Link (MTHL), Mumbai Metro Phase III Cuffe Parade-SEEPZ corridor, and Navi Mumbai International Airport. This latest app from Qlik is a part of its long-term vision of making data more conveniently accessible by translating it into an easily understandable visual and interactive format. It aims to nurture a data-driven culture across public and private organizations by raising awareness about how analytics works, improving data literacy, and showcasing how visual data analytics can help in maximizing operational efficiency.